It's possible the man came home with a box full of small peppers and I may have got a bit excited at the possibilities since it was canning season and all... So, I went on a happy-go-lucky internet search and came across this recipe at My Man's Belly -- what happened next was spicy, tangy, delicious and perfect for sandwiches! You need a lot of peppers...I just sliced and shoved peppers into jars until I ran out of peppers, which ultimately occurred way too soon ^^ Throw 12 garlic clove halves (that means you'll need 6 garlic cloves) into the jar with the peppers. In a small saucepan bring 1 1/2 cups Water,1 1/2 cups distilled White Vinegar and 4 tsp. Salt to a boil over medium high heat. 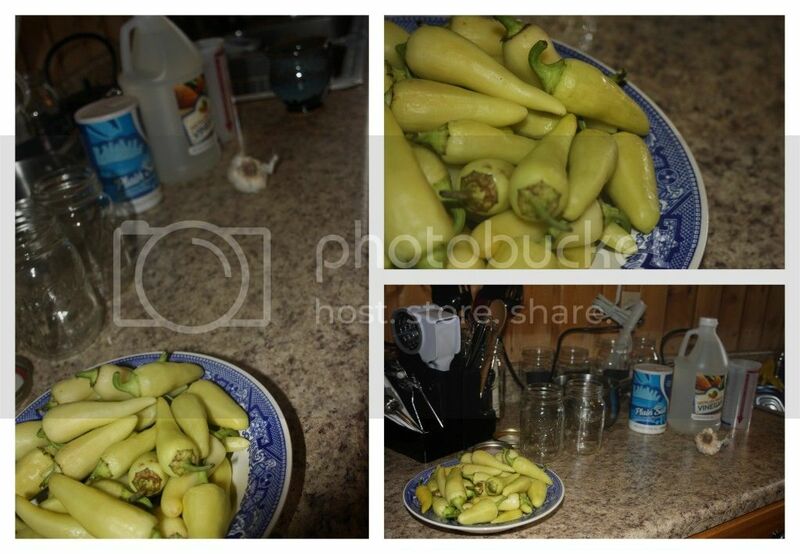 Remove from heat and pour over your peppers until they are all fully submerged. Cover and let set overnight, refrigerate and enjoy for the next 2 weeks (or more if you're a slow-eater/non-expiration-date-worrying-type-person).